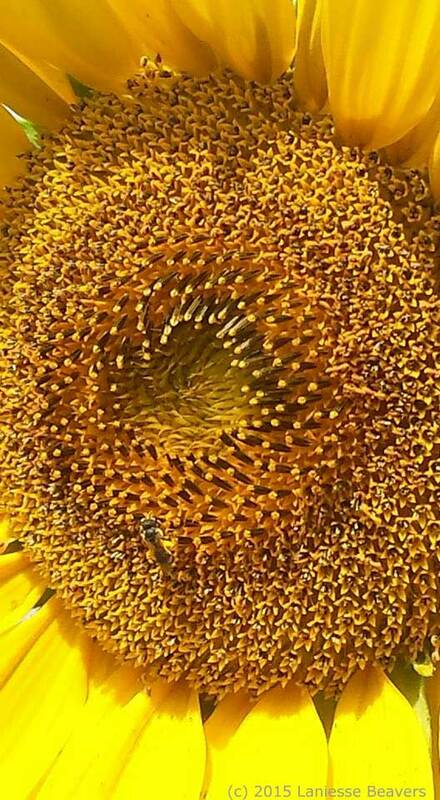 Laniesse of Corvallis recently posted on the Corvallis Garden Share facebook page this amazing up-close-and-personal photo of a bee doing its thing on this beautiful sunflower. While the whole flower (petals and all) certainly qualifies as a mandala, the round center of the flower absolutely does. If you look closely at the “stems” in the very center you’ll notice that they go around in a tight spiral. This spiral continues outward into multiple spirals, which is easier to spot in the lower right corner of the flower center. Along with stopping to smell the “roses”, today’s mandala reminds us to take the time to also notice the amazing beauty that can be found when we look up-close-and-personal…this goes for people as well.